If you ask me, out of all the bands of the 90’s BritPop wave the La’s and the Auteurs stand heads above the others. In fact, they could arguably be credited for laying the groundwork. 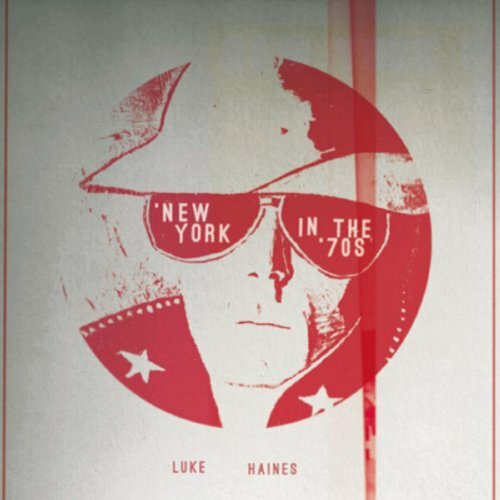 Since the Auteurs broke up, Luke Haines has proved himself to be a unique and ridiculously talented songwriter. He’s also proved himself to be restlessly capricious. Sometimes, to his detriment. Like many others, Haines’ solo career has sometimes lacked the focus and edge of his band’s glory days. I find he’s equally been cleverly subversive and annoyingly trite. At his best, he’s a caustic mix of Richard Thompson and XTC’s Andy Partridge. At his worst, obtusely self-indulgent as Bonny ‘Prince’ Billy. That said, I Sometimes Dream Of Glue, is one of Haines’ most unsettling solo releases. Things begin with the ‘Angry Man On A Small Train’. A personage who could easily serve as our narrator for what’s to follow. Suffice to say, where we’re headed isn’t exactly Shamley Green. We’re going to Glue Town. Yes, this is a concept album. Glue Town, a village which created a substance that was supposed to be air dropped on the Nazis but the bombers never made it out of the hanger. Now it’s residents live out the drudgery of their lives taking solace in solvent abuse and rutting with paganistic abandon. And maybe a little human sacrifice as well. Imagine a sort of stripped down, sleazy Village Green Preservation Society, casting its prying eyes on the more lurid and neurotic aspects of English small-town life. Related with all the affection of a poison pen, cozy mystery. Skeletons rattle in every closet. Don’t go digging in the garden if you know what is good for you. Highlights include, ‘I Fell In Love With An OO Scale Wife’ and the sinister, ‘At It With The Tree Surgeon’s Wife’. Elsewhere, Haines’ satire is redundantly fixated on promiscuously overweight women and glue sniffing. The world Haines invokes is claustrophobic and undeniably misanthropic. But the thing about misanthropes is, that while they despise all of humanity, they don’t hold the same contempt for individuals. Alas, as misanthropic and unsettling as some of these vignettes can be, there isn’t much affection for the residents of Glue Town. Just seething disdain. In lieu of compassion, Haines is voyeuristic and cynical. A pity, since a dollop of sympathy and warmth would have lent the willful perversity some complexity and nuance. Not to mention some fun. As it stands, Glue Town is an unpleasant place to hang out. Its one commendable quality is its nightmarishness. And with repeated listens, that novelty wears thin. Ultimately, Haines’ cynicism isn’t likely to put a smile on your face so much as a sneer. Despite any pastoral woodwind flourishes, this is a self-satisfied, cold, bleak album. Musically, its easy on the ear. But lyrically, it jeers rather than revels in its grotesqueness. Haines uses his formidable talents to paint a vividly creepy atmosphere that would make H.P. Lovecraft proud. But then pokes fun at Glue Town’s deranged denizens with all the panache of a grudge holding, back-alley proctologist. I’m no shrinking violet when it comes to bleak and brutal albums. Lou Reed’s, Berlin and Leonard Cohen’s, Songs Of Love & Hate are two masterpieces I keep coming back to again and again. Beneath the gloom there’s a twisted vulnerability in them that transcends. Not so here. Here, you’re just stuck. While Glue Town may be a whistle stop worth gawking at, it offers little reason to return.